Poland on Wednesday (12 September) said it was very worried by the European Parliament’s rare decision to launch a procedure against Hungary for posing a “systemic threat” to the EU’s founding values. 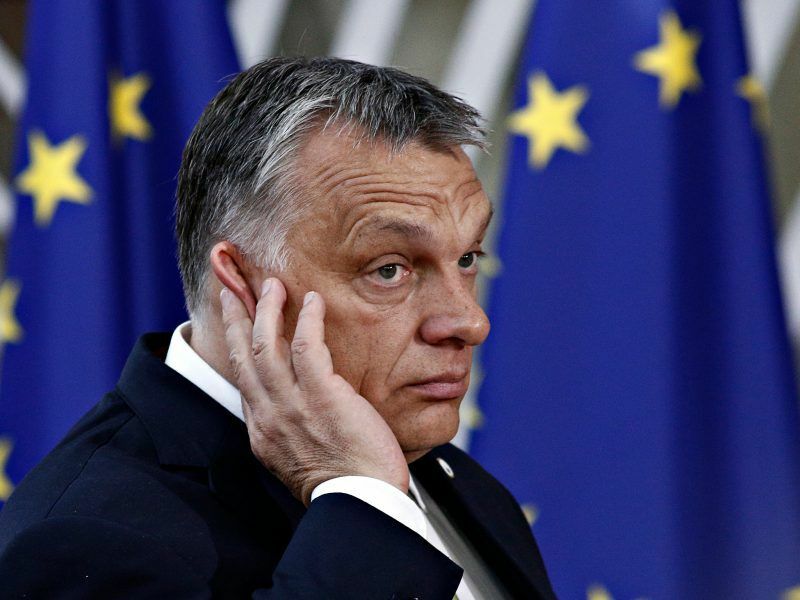 The vote took the first steps under Article 7 of the European Union Treaty, known by some in Brussels as the “nuclear option”, which could ultimately strip Hungary of its EU voting rights. 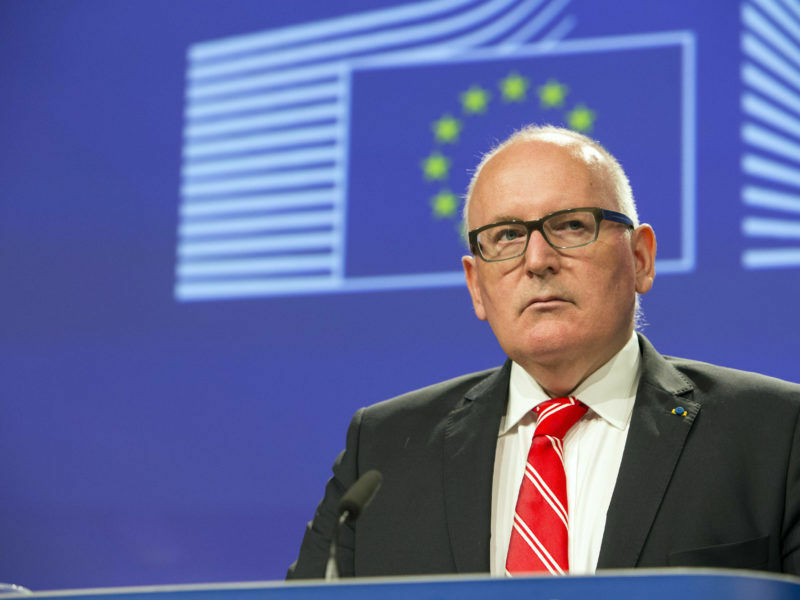 Other EU governments could halt any further action, however, and Poland — a fellow ex-communist state that is also facing an Article 7 procedure — has warned it would do so. In the recent past, Poland has benefitted from Hungarian support in the ‘rule of law’ procedure launched by the EU executive. The EU has warned that controversial reforms pushed through by populist governments in both Budapest and Warsaw pose systemic threats to the bloc’s founding values such as respect for democracy, the rule of law and human rights. “Poland is very worried by the decision taken by Parliament today,” Joanna Kopcinska, spokeswoman for Poland’s right-wing Law and Justice (PiS) government told AFP via email. Wednesday’s vote “threatens” EU unity and “sows unnecessary divisions,” she said. “The Union is based on dialogue – and it is necessary to resolve such disputes through dialogue and not diktat,” Kopcinska added. According to the VoteWatch website, all 18 MEPs from the PiS party voted against the motion. 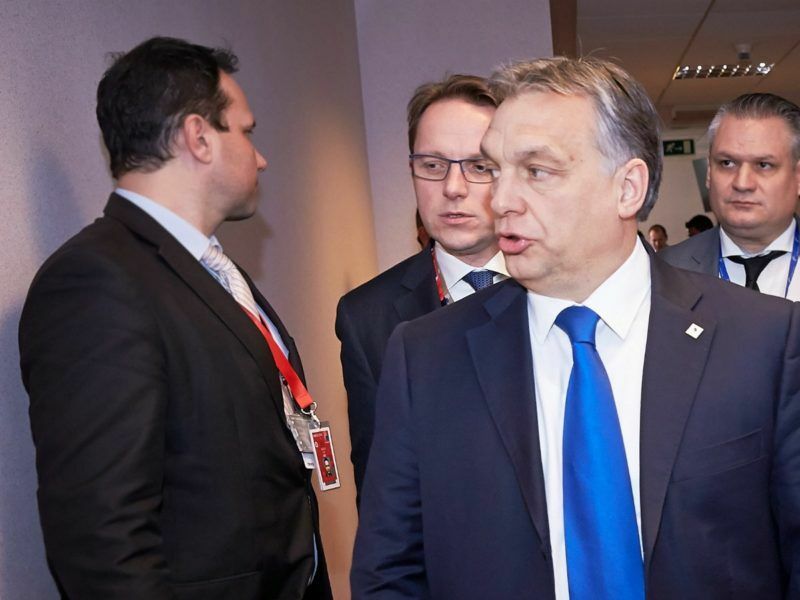 “We are in solidarity with the Hungarian people, who gave the Viktor Orbán government a very clear democratic mandate in recent elections,” Kopcinska said. The Polish government argues that the changes are needed to tackle corruption and overhaul a system still haunted by Poland’s communist era. If I am not mistaken, Poland receives 14 billion euro netto a year from the UE. The UE should use this leverage to force, yes, force, Poland and Hungary to do what the UE decides should be done. Share asylum-seekers, coordinate fiscal policy, abide by the decisions of the EU on foreign policy issues — and not do what the USA wants with European money. A simple condemnation of Hungary and Poland is not enough. Withdraw subsidies and expel them if needed. Let’s not be hasty, shall we? But, yes, do let’s kindle a little fire under their little feetses. The European Parliament just did that with a more than 2/3 majority. It would have been more if those unspeakable British CONs hadn’t been there anymore. Is Poland feigning that it is worried. She together with Hungary will of course block in the Council. Could there be enough of votes in Council to overcome the blockage of both these countries who perhaps will have the support of the Visegrad countries and others. Why talk of dialogue when they are always on the attack with Hungary and threatening not to implement what they are asked to do and trying to go around and appease? Poland & Hungary are abiding by EU treaties with regards migrants, they are strictly abiding by the Dublin accord. Nowhere does it say they should take in other peoples problems. They should put two fingers up to the EU & tell them to go for a treaty change if they want to change the existing treaties. 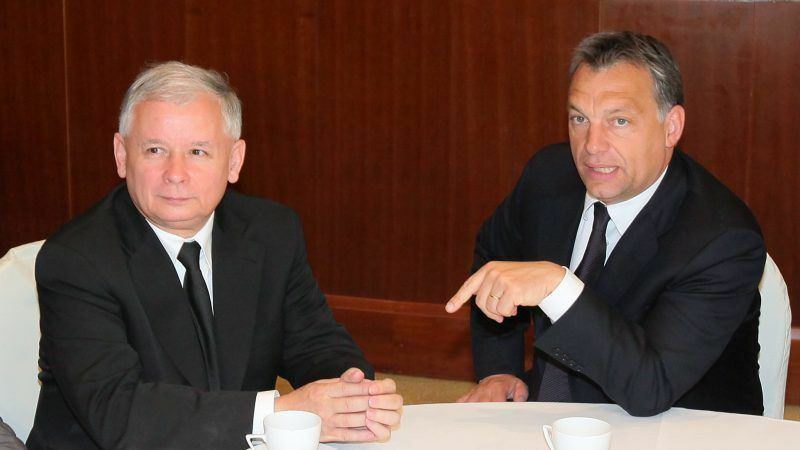 “Poland & Hungary are abiding by EU treaties with regards migrants” – but they’re not abiding by EU council decisions. They are being sued for that. No need to change the existing treaties. Don’t blabber about law stuff if you don’t have the necessary knowledge. That is good! That is very good!. Be worried, mr. Kaczynski! Be very worried! You didn’t think you’d get away with your would-be strongman tactics and have the rest of Europe pay for them, did you?